Sustainable Tourism on a Finite Planet by Megan Epler Wood is the latest addition to our list of recommended books for tourism professionals. [easyazon_link identifier=”1138217611″ locale=”US” tag=”slpus-20″]Sustainable Tourism on a Finite Planet[/easyazon_link] is a book which we consider essential reading. Why? 3. Value chain angle: tourism involves many players and looking at its value chain and political economy helps to understand which role each of us plays – and what challenges and trends others deal with. Justin, in what capacity do you work in the tourism industry? I founded and run Responsible Travel. We’ve been helping tourists find and book holidays screened for responsibility since 2001. I’m on the Board of a safari company, Basecamp Explorer Kenya, based in the Masai Mara. 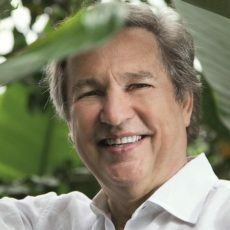 I’ve been involved in a number of other things that try to improve the sustainability of tourism – from Foundations to activism, writing for the media and founding the World Responsible Tourism Awards in 2004. 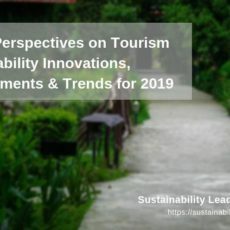 How does Sustainable Tourism on a Finite Planet change the way the travel and tourism industry is presented by business and government? It’s clear to all of us working in this sector that, despite it being one of the world’s largest industries and employers, tourism has not been taken as seriously by policy makers and government as it should be. These leaders have failed to understand how the industry really works, and the positive and negative impacts it has on destinations and local people. 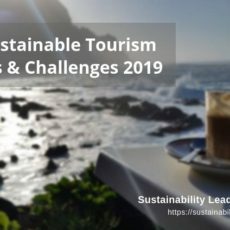 Many of those in the tourism business have been able to turn a blind eye to sustainability issues, but are now finding them impossible to escape as it threatens their potential for growth. The strength of the arguments in this book help move sustainable tourism from the periphery to become a central strategic issue in government and board rooms. Has Sustainable Tourism on a Finite Planet offered a way to present new options for managing the growth of tourism in your view? An increasing number of people around the world are fighting skirmishes with a wide range of issues associated with tourism. After decades of escaping much critical attention, the issues are becoming more apparent and pressing by the day. I think what Megan has recognized through her long association with these issues, her own skirmishes over several decades since she founded The Ecotourism Society, and by her students at Harvard and consultancy work, is that it’s time we took a new approach. Rather than using just opinion and passion, we need more evidence based, data driven arguments that create systemic change. The great strength of her book, which she is uniquely placed to write, is to give the reader a framework for how this might be done – and to make it real and credible through case histories. 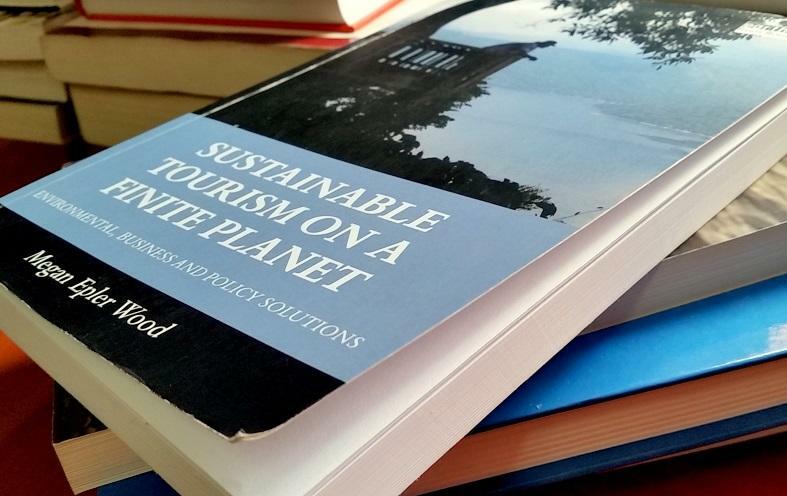 What is the most important reason why others in the tourism industry or government should read Sustainable Tourism on a Finite Planet? I think anyone trying to understand the tourism industry, as well as those with an interest in sustainability, should read the book. Tourism is a complicated interconnected industry with many different players. The author’s comprehension of the structures and dynamics that lie beneath the industry is impressive, and of course vital to understand for anyone wanting to manage tourism or create change. The reader will gain more strategic arguments about why and how tourism must change, as well as evidence from case histories about how it is changing. It will arm the next generation of government and business leaders with the thinking they need to create a fairer, more caring and sustainable industry. Do you think there are points that need further emphasis, clarification or follow up? From time to time I’d wondered about one day writing a book on responsible tourism. Megan’s book has scotched that idea – her ability to draw on the thinking and work of some talented students and her own long experience as one of the foremost pioneers in this sector, sets a very high bar! What remains to be seen is how fast we can create a more sustainable tourism industry. Megan’s thinking and expectations for the data based decision-making we’ll need is far ahead of where we are now, however it’s my belief that by laying out the requirements they will be quicker to arrive. I’m confident that there will be many eager readers of the book ready and willing to take up the cause. Our list of recommended books for tourism professionals here. Enjoyed this introduction and review of Sustainable Tourism on a Finite Planet, the new book by Megan Epler Wood? Share and spread the word!